DUNCAN, B.C. 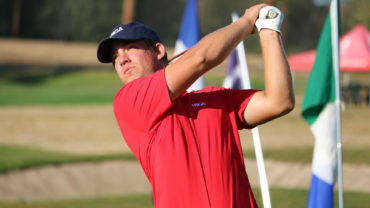 – American Zach Bauchou fought the heat with a 4-under-par 67 in Wednesday’s third round of the 114th Canadian Men’s Amateur Championship to hold a two-stroke lead at Duncan Meadows. 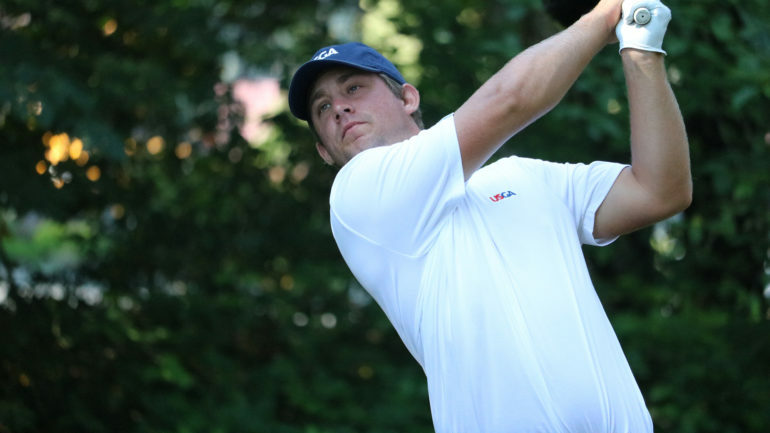 The 22-year-old Forest, Va., product sits at 13 under par for the tournament and has held the lead through the first three rounds. Bauchou, a junior at Oklahoma State, felt he left a lot of strokes on the course today. 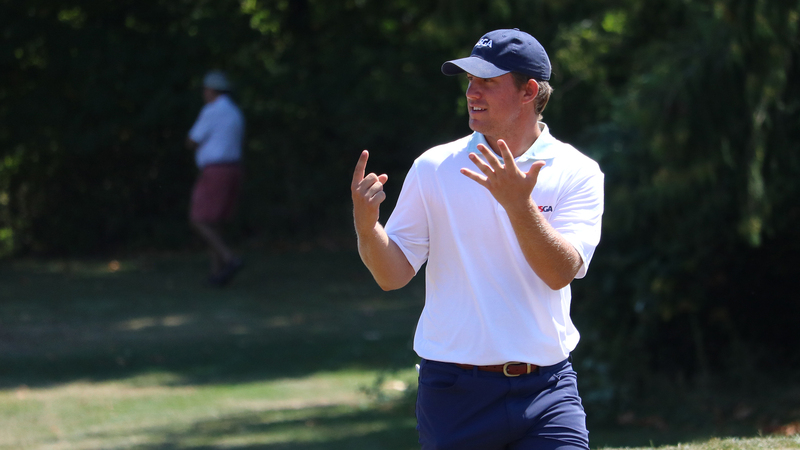 Bauchou’s motivation comes from many sources, one of which included Oklahoma State teammate Sam Stevens, who now sits in a tie for third at 8 under. 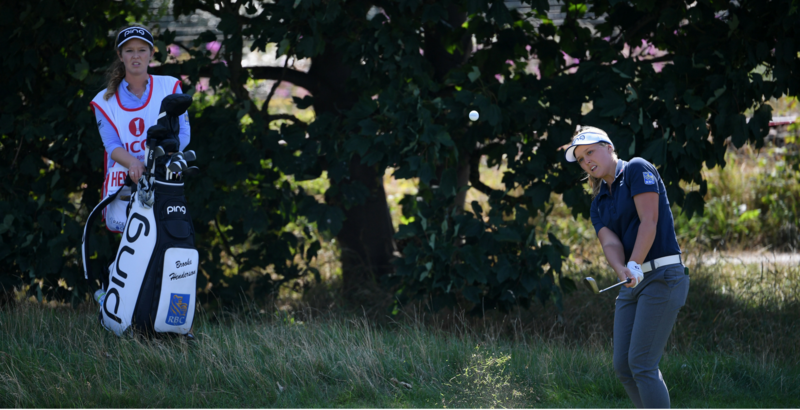 The pair shared a short exchange at the 17th tee to compare scores. Trailing Bauchou is fellow American Philip Knowles, who shot a 64 to tie the course record (set this week by Australian Justin Warren). The Jacksonville, Fla., native sits at 11 under in solo second, narrowing Bauchou’s 36-hole lead by one stroke. 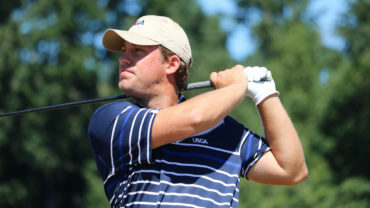 A trio of golfers sit tied for third place at 8 under par: Canadian Kaleb Gorbahn (Smithers, B.C. ), Sam Stevens (Wichita, Kans.) and Cameron Young (Scarborough, N.Y.). In 2017, Bauchou rallied from behind in the final round to win the title. On Thursday, he looks to close it out playing with lead. He tees off at 9:31 a.m. PT alongside Knowles and Gorbahn, the current low Canadian. 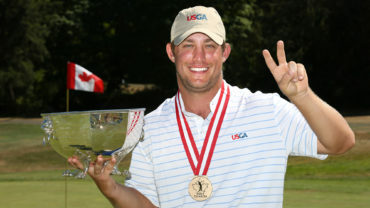 Team Canada graduate and NHL referee Garrett Rank of Elmira, Ont., sits in 6th place at 7 under for the tournament.